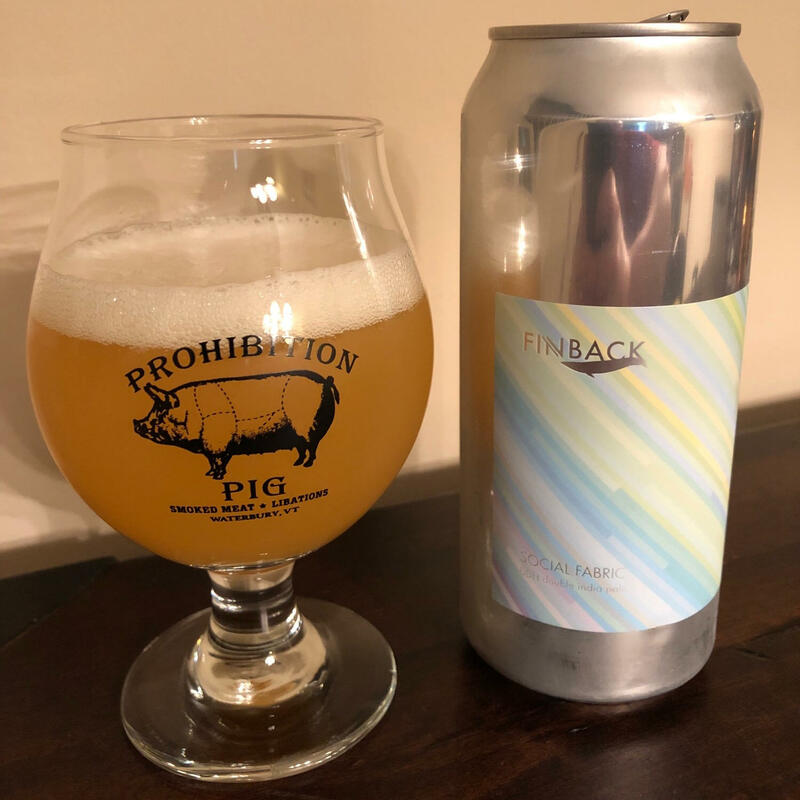 Yet another member of NYC's beer renaissance is Finback brewing. Located in Queens, it's not just a borough where you can sow your royal oats or discover a worthy bride anymore. 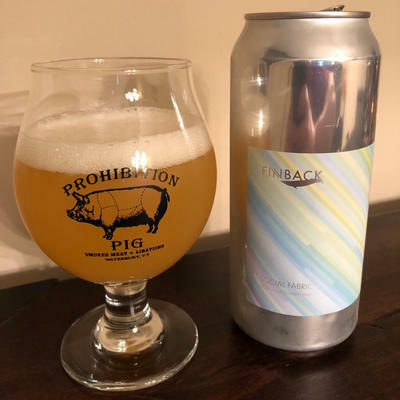 Between Finback and their neighbors at SingleCut as well as brethren in Brooklyn like Other Half and Interboro, things are looking up in the NYC beer scene. 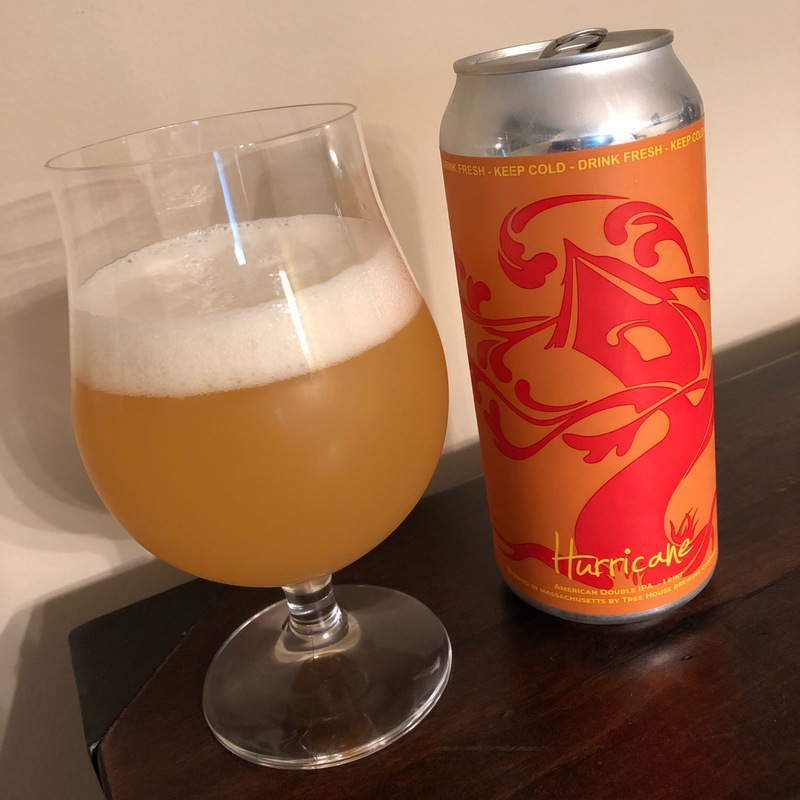 This particular beer is a double dry-hopped DIPA made with Mosaic and 007 (the hop formerly known as Idaho 7, which if this beer is any indication, is a wonderful match with Mosaic). The Social Fabric may be fraying, but beers like this might help knit things back together. Yeah, fat chance, but let's give it a shot, eh? Object Permanence is the idea that objects continue to exist even when you are no longer observing them. Unfortunately, beer does cease to exists if you insist on drinking it. Doubly unfortunate when the beer is as good as this one. 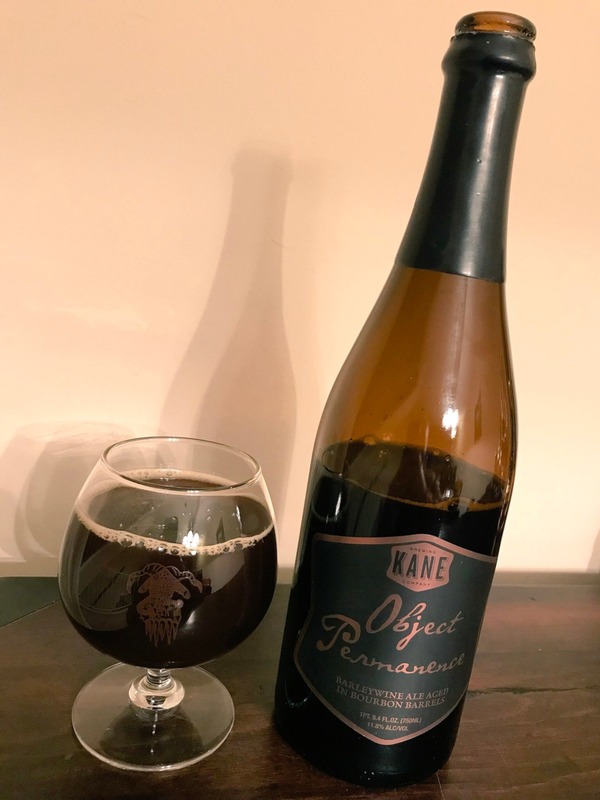 I've recently come into a couple of more Kane bottles. One is last year's vintage of Object Permanence (huzzah), and the other is a BBA anniversary beer from them. Stay tuned. I may not wait two months to write that one up (assuming I drink it soon). Fingers crossed for this year's ANTEAD lottery too. I drank this on Friday, April 13th, so yes, I'm far behind on reviews here. A thousand pardons. That date being what it is, I decided to have a little movie marathon and broke out my 8 movie set of Friday the 13th films. Yes, I still use physical media from time to time, wanna fight about it? Also, yes, for some reason I love the Friday the 13th series of films, such that I'm probably going to spend a lot more time writing about them in this post than the beer in question. We can fight about that too, if you like. So I started off with the original Friday the 13th. Made in 1980, it's not an ur example of the slasher genre or anything, but it may be a codifier of a few conventions. In other words, it's derivative as all get out, but it solidified the template that many of the trashier examples of the genre follow. There's not much in this movie that was not done earlier and better by the likes of Black Christmas or Halloween, but this shows how lesser filmmakers imitate greatness. Some elements are still great. Tom Savini's makeup and effects are a step up from earlier examples, even when they're lifting gags wholesale from obscure proto-slashers like Bay of Blood. The ending is also a notable example of a broader horror movie trope (I won't spoil it here, but it's a good one, despite the implication that it's a dream sequence? Whatever, it works.) It suffers a bit in my mind for the lack of Jason, though it's also interesting in that respect. It was fun revisiting this, but it's not the one I usually reach to rewatch. Next up was Friday the 13th Part 2. Made on the cheap just a year later, this one features Jason for the first time, though he's still in backwoods overalls and with a bag over his head (which again, are elements stolen from earlier films like The Town That Dreaded Sundown, etc...) Again, decent makeup and effects work here, and the film is still aping Bay of Blood for its kills, but the real standout of the film is Ginny (played by Amy Steel), arguably the best final girl of all time. She fights Jason with a kick to the nards, a machete, a pitchfork, a chainsaw, and of course, a cable knit sweater (or, like, her wits, whatever). She also subverts a lot of the supposed final girl conventions, which are generally overstated to make a case that slashers are conservative morality plays (which they can be, but aren't always). Anyway, the film is a bit marred by Steve Miner's unimaginative direction and the nonsensical ending, but it's still a fun little flick. Realizing that I probably wouldn't get through all of the series in one night, I then skipped ahead to Friday the 13th: A New Beginning, the much maligned fifth installment of the series. While certainly not one of the best of the series (a distinction that belongs to Parts IV and VI), I do think it's a bit underrated. It's got a neat-ish idea. Since Jason was "killed" in part IV, they decide to follow the little boy who killed him. Now grown up, he's haunted by visions of Jason. Currently living in a halfway house with other troubled teens, people start dying, and it's implied that Jason may be returning, perhaps as a copycat. Or something. It's not a very well executed idea, but the movie still has some fun characters or moments here or there. I mean, come on, how can you not like Violet? Beer Nerd Details: 11.3% ABV bottled (500 ml). Drank out of a tulip glass on 4/13/18. Release: 2018. Level 1. Alright folks, maybe I won't wait a month to post again. Maybe. The label sez: "We continue on, forward, like phantom people, towards subtle dawn." I don't know what that means, and the ghost infamously never shares its secrets, so we'll just have to let that be, I guess. 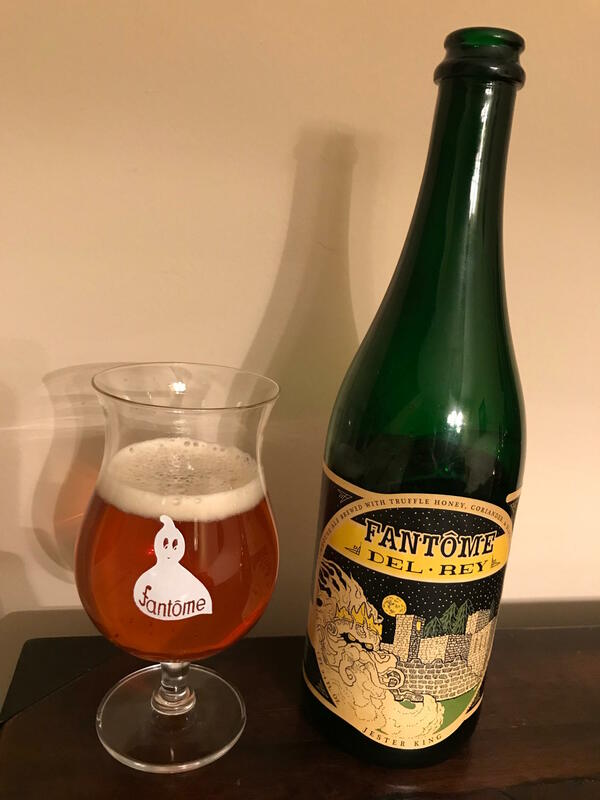 The beer itself was originally brewed in Belgium at Fantôme, with Dany and Jester King brewer Garrett Crowell collaborating on the recipe. Speaking of which, unlike most Tômes, we know a little more about the recipe here. It's made with dark candi syrup, truffle honey, coriander, and black peppercorns. After the initial batch in Belgium, Jester King made a batch back at their own brewery and subjected it to extended fermentation and partial barrel aging (and using their distinctive well water and a melange of native, mixed-culture yeast and bacterial beasties.) The name Fantôme Del Rey roughly translates to Ghost of the King, which is actually pretty evocative. But how's the beer? Beer Nerd Details: 8.8% ABV bottled (750 ml capped and corked). Drank out of a tulip glass on 4/8/18. Blend #1 - 03.22.16. Always down for another Tôme, and Jester King is certainly a brewery I should seek out more often. Many thanks to fellow BeerNERD Gary for procuring this bottle for me in his many travels. And now for something completely different. 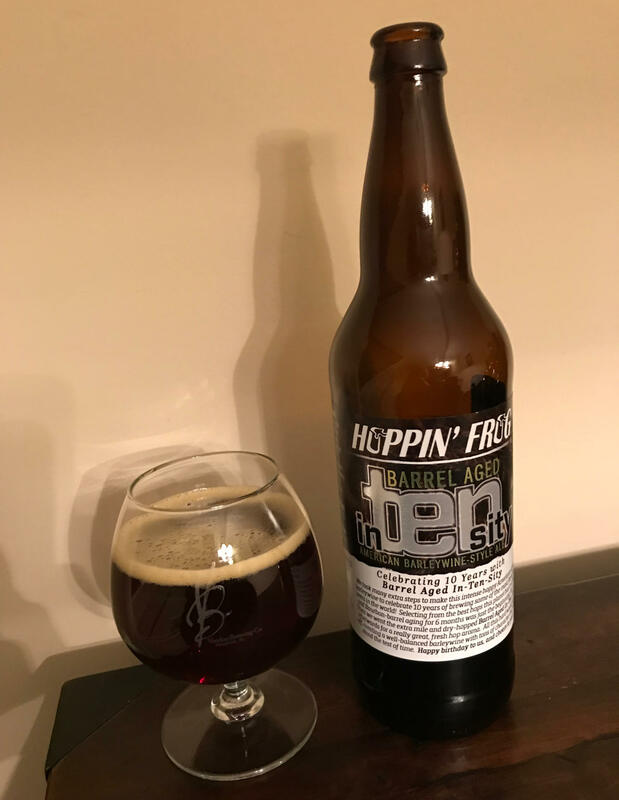 I know I'm supposed to be writing about this beer, but I've been doing this for almost 8 years at this point and thus getting a little repetitive. Please indulge me. Doubly so, because I'm going to talk about the (for some reason) much maligned Dean Koontz. For the uninitiated, he's a very prolific horror/suspense author that is usually dismissed as a second-rate Stephen King. To me, though, he's an important author in that he's the one that got me to start reading books. I wasn't, like, illiterate or anything, but I mostly only read books when forced to for school, and Koontz got me reading for pleasure. No coercion necessary! Sure, his novels get repetitive, he has some specific bugaboos that he always focuses on (there's a Scooby-esque satanic bad guy that seems supernatural but often isn't and then a good guy with Police/SWAT/FBI/CIA/Army/Marine/etc... training takes him on and usually falls in love with a strong single mother with a precocious child and adorably intelligent dog along the way), and the stories can be repetitive, but they tend to be pretty interesting and a lot of fun. Movies based on his books have been almost uniformly bad, which might also be part of why his reputation suffers. Pretty much the last great book of his that I remember reading was called Intensity. Granted, he didn't use goofy capitalization to emphasize a brewery's tenth anniversary (see? This post is coming together. Kinda. ), but I have to admit that when I saw this bottle of beer, I immediately thought of Koontz's novel. It was one of the flood of serial killer tales that besieged us in the mid 1990s, and to my mind, one of the better ones. A gruesome but well paced and compulsive read. It's been a solid twenty years since I've read it, but I still remember a lot of details, which isn't something you expect from popular airport thrillers like this. Some of these details are trivial, like the killer's choice of music for his cross country murder spree: Angelo Badalamenti (most famous as a film and TV composer for David Lynch, amongst others - and an odd choice to be employed like this). There's this recurring bit with an albino deer that was mysterious but still evocative. There's one decision from our protagonist that might be difficult to swallow, but once you get past that the book doesn't really let up. 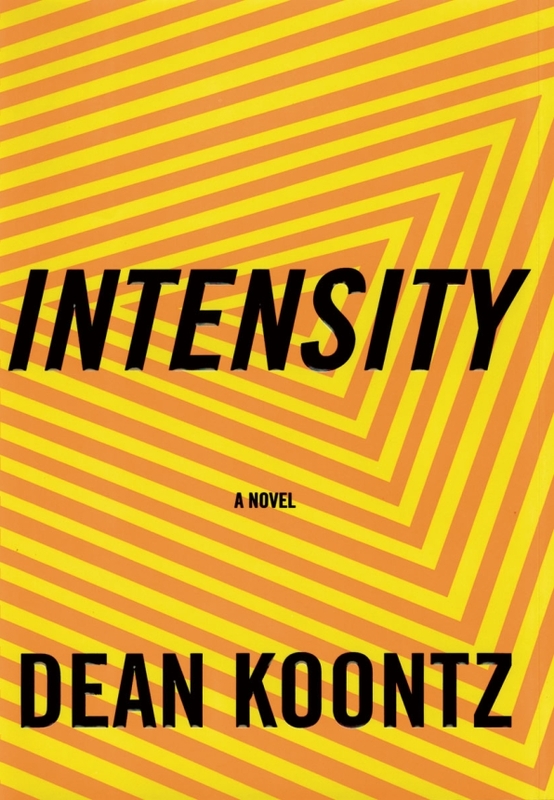 It's genuinely tense, and if I remember correctly, Koontz even sometimes reverts to present tense at times to emphasize the tension (a move that could be jarring and cheap, but which I remember working well). For once, Koontz's obvious love of dogs is subverted by his use of them in a villainous fashion. The killer's refusal to conform to textbook serial killer tropes (which was becoming a trope of itself at the time, to be sure) was effective, and there were some neat twists in that arena. At this point, you've probably seen a dozen similar tales, so this might be old hat, but it was pretty great for teenaged me. 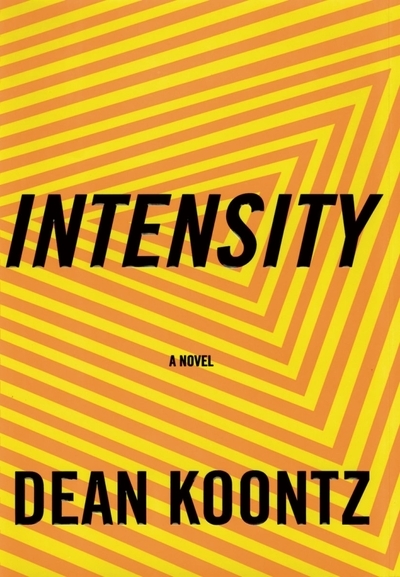 There was a TV mini-series that was pretty much par for the course (not particularly worth seeking out, but not an abomination either), and it's worth noting that the first half of High Tension is remarkably similar to the first half of Intensity, though the stories diverge considerably from there (even so, this might be the only real worthwhile Koontz adaptation, even though it's not really acknowledged as such). Beer Nerd Details: 12% ABV bottled (22 ounce bomber). Drank out of a snifter on 4/1/17. I'm not sure if Hoppin' Frog still makes Naked Evil, but I remember that as being better than this one. Of course, that was like 5 years ago, and my memory of that is somehow not as distinct as my memory of Koontz's book. After Drie Fonteinen recovered from their "Thermostat Incident", they actually managed to rev up a new production facility, and a few years later, the first vintages of their Gueuze were ready for blending. 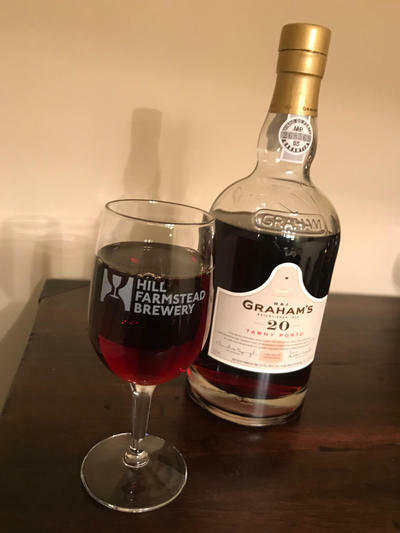 Of course, their OG standard is wonderful, but since they were finally self-sufficient again, Armand Debelder decided to blend up a special batch in honor of his father, Gaston. 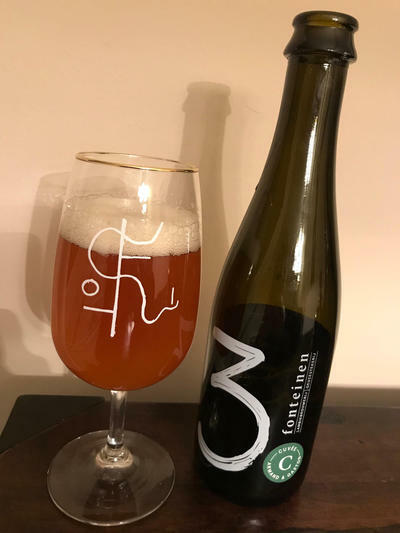 This beer consists only of lambic brewed by 3 Fonteinen, and this post will actually cover two batches. 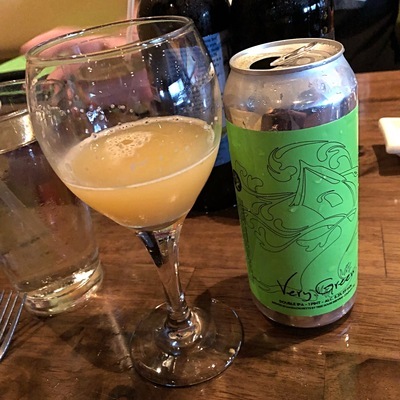 One, with the old label, was one of the earlier 2015 batches, and I shared that with a bunch of friends recently (so didn't take detailed notes, but I'll give some background on why I was sharing such a bottle and whatever thoughts I can muster below). The other is a newer 2017 release, and has the new, swanky silkscreen label with stickers, which I was able to write tasting notes for. Because you all love those, right? Right. 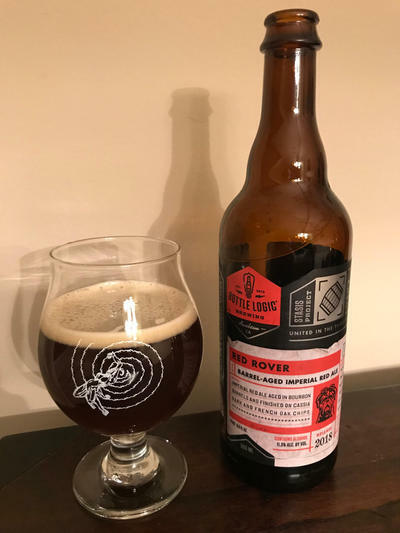 The label sez that this is "blended from lambics aged and matured on 4 different barrels, originating from wort of 7 different brews. The old lambic was brewed with slightly darker malts and was destined for another Straffe Winter (but we actually forgot about it...)" (Straffe Winter is a Faro that they have still only released once, in case you were wondering.) Ok, enough wanking, let's get to it. Beer Nerd Details: 5.3% ABV bottled (375 ml caged and corked). Drank out of a flute glass on 2/9/18. Bottling Date: 01/25/17. Best Before: 10/26/37. Blend n° 17 - Season 16-17. Brouwerij 3 Fonteinen Oude Geuze Cuvée Armand & Gaston (2015) - I hate the sport of basketball. However, I do make one exception, and that is Villanova basketball, which I have watched with some regularity since I graced that fine university, jeeze, over twenty years ago? Anyway, two years ago, Villanova won the NCAA championship and my friend and fellow VU alum Rich brought a BCBS Vanilla Rye to a share the night after we won. 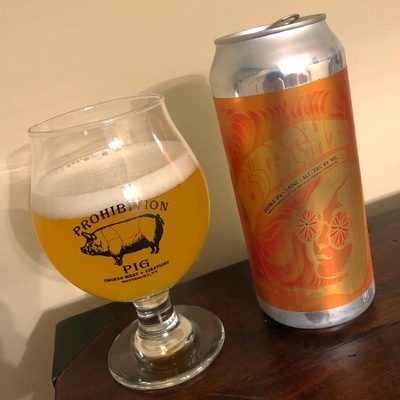 It was a spectacular beer; age had treated it very well and I'd go so far as to say it's one of the few beers I've had where age has actually improved the beer. Anyway, a few weeks ago, Villanova won their second NCAA championship in 3 years (and third overall), and Rich and I immediately started putting together a share where we'd dig out something great from our cellars. He brought a spectacular bottle of ADWTD, and I brought this beauty: the first vintage of Armand and Gaston. 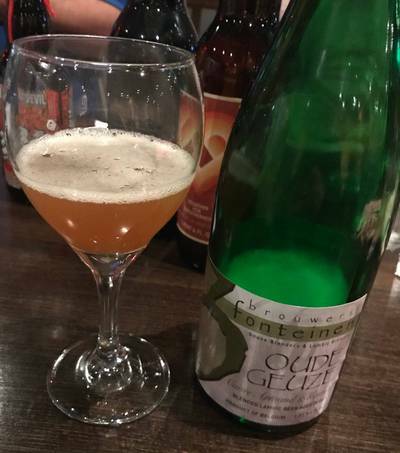 This consists of some of the first lambic brewed on their new system in 2013, and according to the bottle logs, it's the second 750 ml bottling (both in October of 2015), and there were approximately 3,800 bottles in this batch (there was an additional 375 ml bottling and a thusfar unreleased 1.5 l bottling that is aging in the 3F cellars). 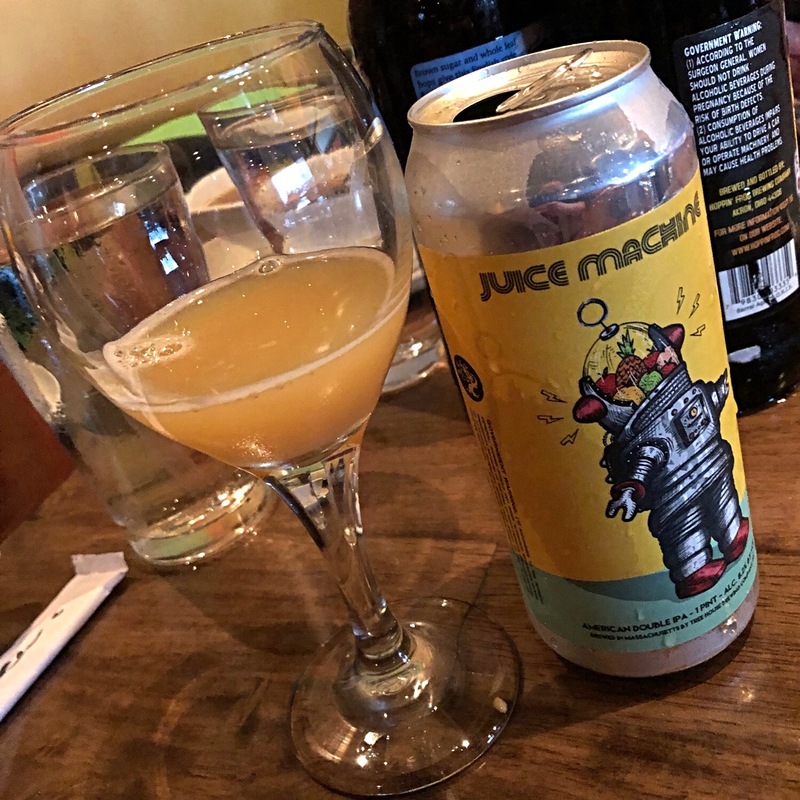 Opening the bottle resulted in some mild gushing (cork basically popped out on its own), but fortunately, not too much of our precious juice was lost. 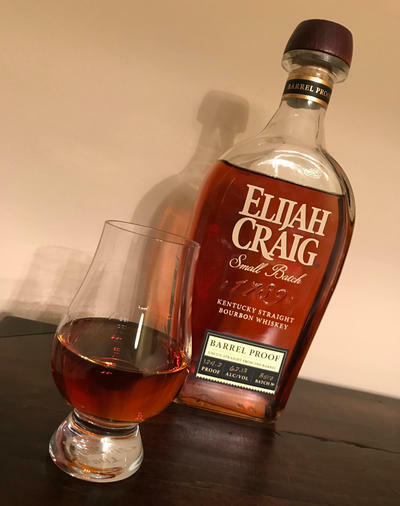 And yes, my impression was that this was somehow even better than the 2017 vintage I just praised to high heaven above. Super funky, but it didn't quite veer into extra-pungent blue-cheese territory that is fascinating for sure, but not quite as nice as this. Earthy, fruity, tart but not overly acidic, highly carbed and effervescent, great balance,depth, and complexity, I could have easily rocked the entire bottle by myself, but I was glad I shared it with some friends who could appreciate its charms. Again, I didn't really take any notes, but it was great. I'll give it an A too, and this is definitely the sort of thing to seek out. Beer Nerd Details: 6% ABV bottled (750 ml caged and corked). Drank out of a wine glass on 4/12/18. Bottling Date: 2015, October 20. Best Before: 2035, October 26th. I love the Best Before date on the bottle. Not just 20 years, but 20 years and 6 days. A minute longer and it'll spoil. Anywho, both vintages were phenomenal. Seek this out. It may be pricey, but it's worth a stretch. But my priorities are way out of whack, so you do you. The annual beer hibernation offers an opportunity for me to put on my ruminating wig and think long and hard about things other than beer. Like hot sauce. Or an obsidian goblet filled with an aqueous form of eldritch horror. Or, um, port wine. Alright, I shouldn't have mentioned that Lovecraftian liquor, but I assure you that it is literally unspeakable and indescribable, which obviates the need for a post. I mean, the very geometry was so corrupt that... you know what, I should stop writing about that. For reasons. You'll have to settle for port. Port Nerd Details: 20% ABV bottled (750 ml). Drank out of a taster glass on 3/3/18. 20 Years Old. Beer Nerd Musings: Lots of beers are aged in port barrels, but I don't think I've ever seen any sort of distinction made between Ruby and Tawny barrels (though, of course, they do exist... naturally, it doesn't specify how old the Tawny port was though...). I would certainly be curious about how much of an difference the older barrels make. I mean, a 20 year old barrel has to have a different character than a 2 year Vintage port barrel, right? Certainly a bit pricey, but worth it at least once. I don't know that this is the sort of thing that would enter my regular repertoire, but it definitely works as a special occasion tipple. 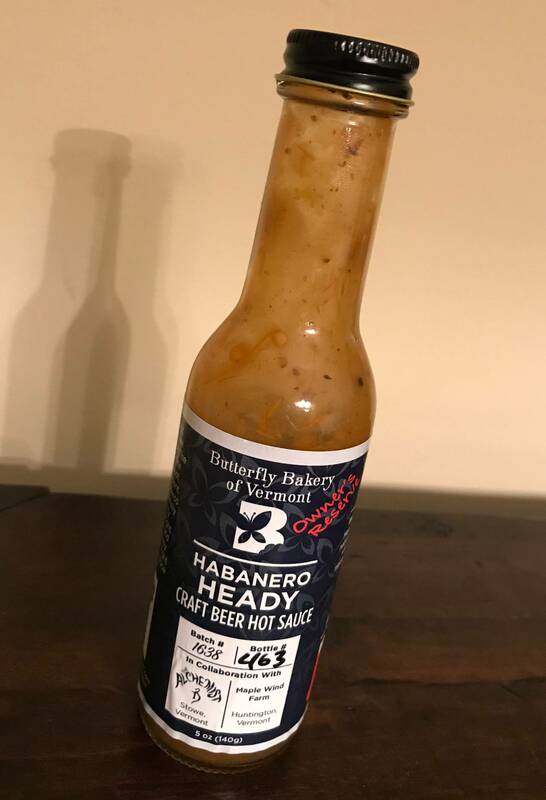 As I make my way through my annual beer hibernation, I try to explore some beer adjacent realms, and this sometimes goes to some odd places, like... hot sauce? Last year, I discovered a new favorite, the BLiS Blast, which is aged in old KBS (or is it CBS?) barrels. It's not especially hot, but it packs a lot of flavor and it's got a character that was missing in my regular hot sauce repertoire (which it has now joined). Hot Sauce Nerd Details: Bottled (5 ounces). Batch #: 1638. Bottle #: 463. Heat Level: 4/5 "Pretty Hot" (not sure I want to know what the 5/5 level, "Crazy Hot", is like). There are apparently lots of other sauces they make, including other Alchemist based sauces that aren't quite as potent. I'd definitely like to check that out.